Want to be this carefree? 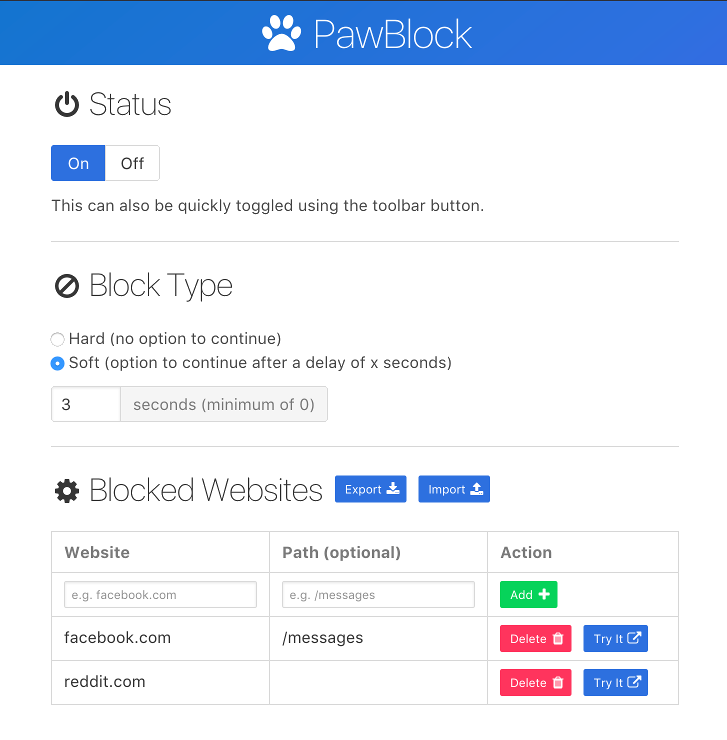 Block distracting sites with PawBlock when you need to get something done first. What if I need help or have a suggestion? Please submit an issue, or send me a message on Twitter. I found myself visiting distracting sites without even thinking about it while I was doing work. It almost became a reflex to occasionally check out Reddit or Twitter. This extension forces me to consider whether I really want to change the focus of my attention. Does PawBlock collect or send any data regarding my browsing activity? No, and it doesn't use any analytics or tracking services either. Yes, and it won't ever have premium features that you have to pay for. What if I'm particularly good at multitasking? If that's true, then awesome! I wish I could say the same. But there seems to be evidence that most of us just aren't that good at it. 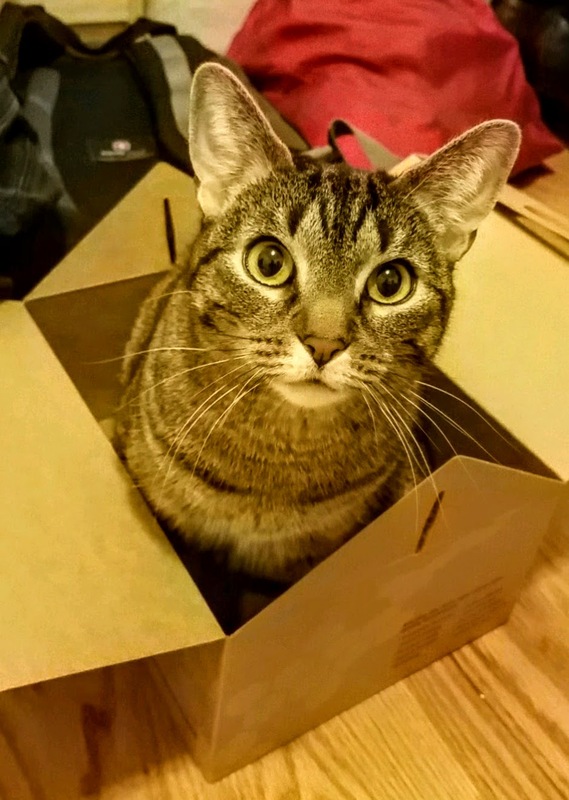 Is PawBlock only available for Chrome and Firefox? Yes, but I'll probably submit it to Opera eventually. It's unlikely that I will put in the work to support Safari and Edge. What are some other extensions that do similar things? Check out this list of alternatives. 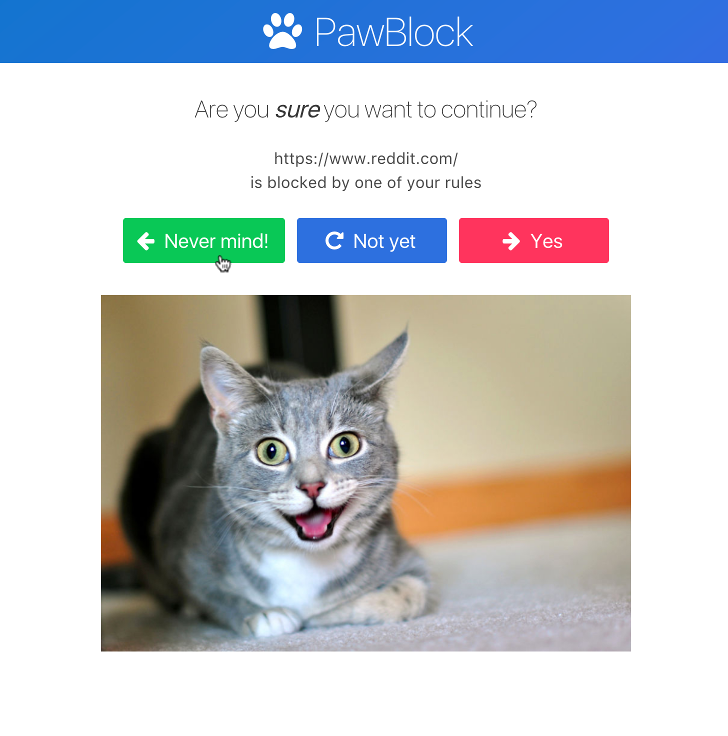 I made PawBlock anyway because I thought pictures of animals would make it a little more fun to use. It is also intentionally simple because I don't need features like limiting the amount of time I spend on a particular site. I turn PawBlock on, get my work done, and then turn PawBlock off. What if I dislike the implicit anthropomorphization in using pictures of "sad" and "happy" animals? I agree that just because an animals looks sad or happy to us in a picture doesn't mean it actually is sad or happy. 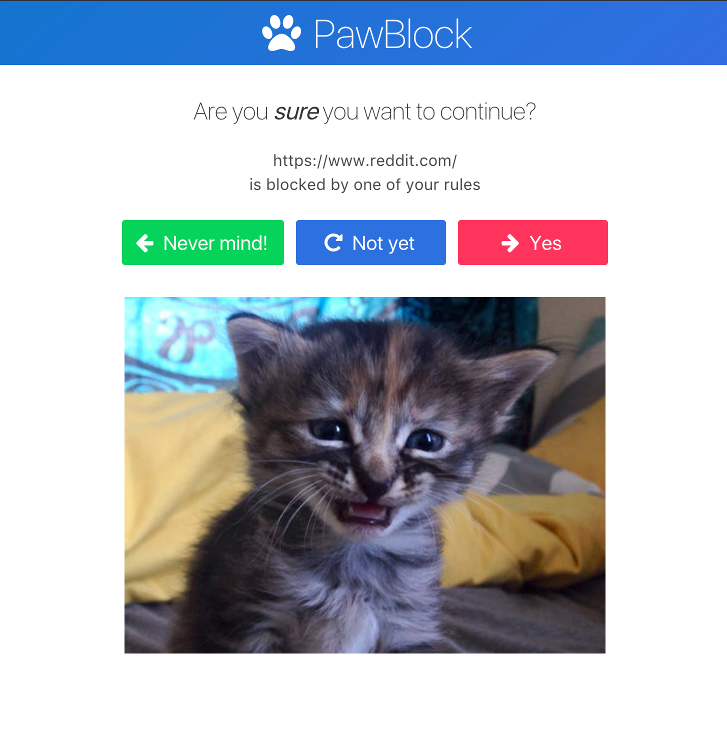 I think PawBlock is harmless though. 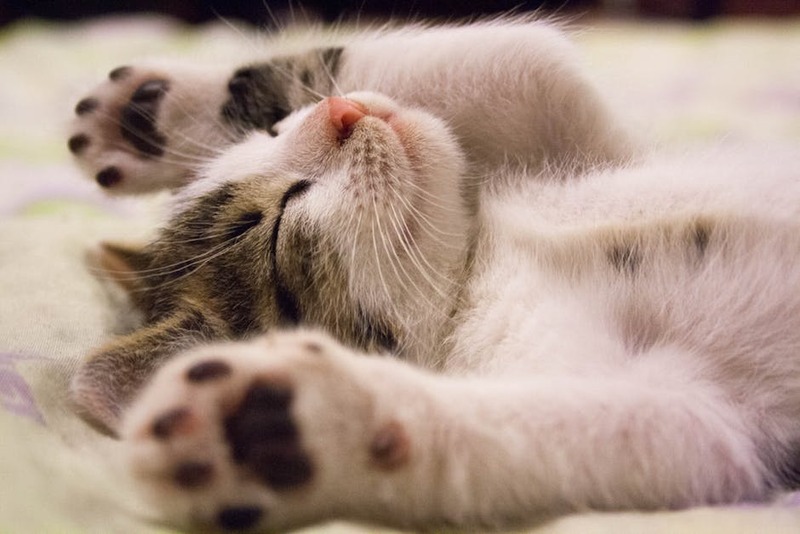 PawBlock is hosted on GitHub with a MIT license.